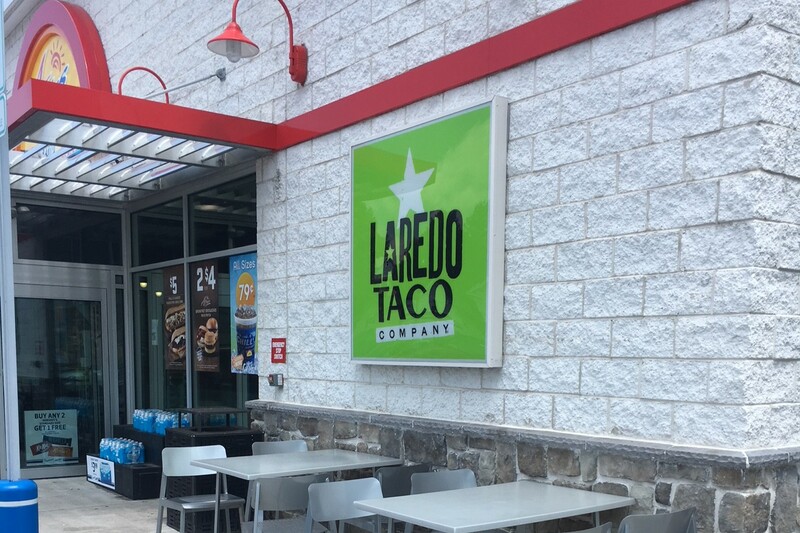 Laredo Taco Company, is a fast food concept owned by Stripes Convenience Stores. In 2015, Stripes was acquired by Sunoco. Some experimentation was undertaken by Sunoco to help improve their convenience store operations. Outside of Stripes switching to Sunoco brand gasoline there was little change for the Texas based Stripes customer to notice. However, outside of Texas Sunoco chose to build a new store concept, including co-located Laredo Taco Company locations. Three stores were built throughout the Nashville, TN area. Another was also built in Greensburg, PA which is outside of Pittsburgh. This is the location I was able to get photos of. This location operates under the A-Plus banner of stores. It is owned by Sunoco, and was completely torn down and rebuilt when the Laredo Taco Company was added. There is exterior signage both permanent featured here, and temporary glass cling advertisements for LTC. There’s also outdoor seating. 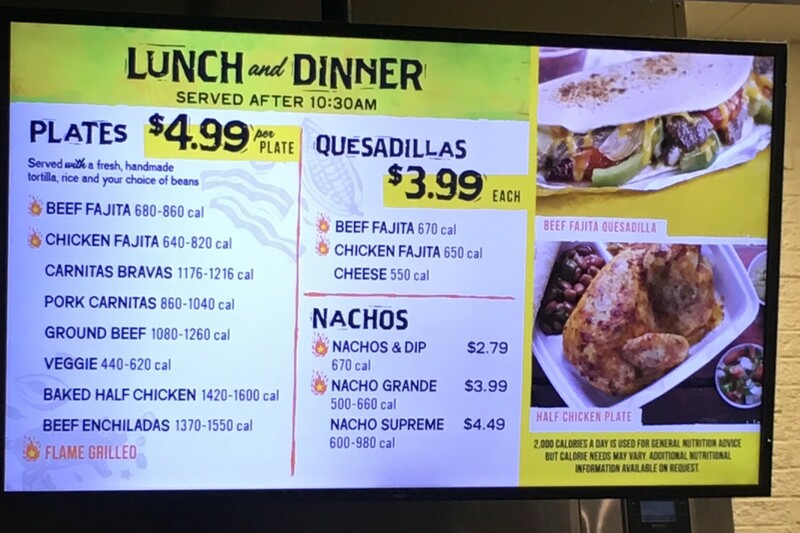 … including would you believe it “Nachos Grande”! Taking a look around the inside, the store does not resemble a conventional Stripes location. It borrows more from A-Plus styling and themes. Overall I think it looks nice. A-Plus uses a very basic interpretation of the LTC branding and styling, which looks very modern. 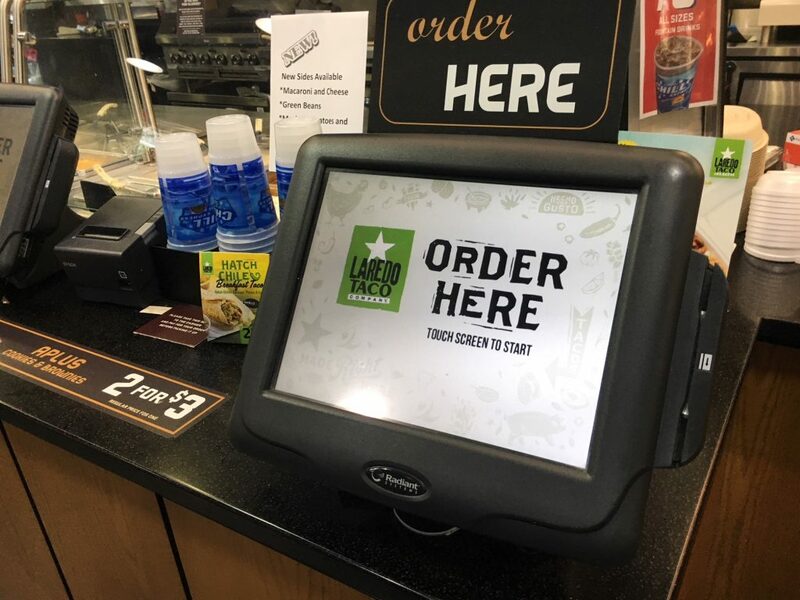 The order kiosk system, while not new to the chain is still in a slow roll out mode. If a store was built more than 6 or 7 years ago, chances are they don’t have kiosks. Now, you may be wondering how this relates to Houston? Well during the end of 2017 Sunoco sold all their convenience store businesses to 7-Eleven who will eventually convert all stores to their own brand. This likely means either a stoppage of new LTC locations or the overall removal of the brand. That’s unfortunate for the brand because it’s solid, and it has something that most other Taquerias lack which is consistency between locations. Everything is the same, and the quality is consistent. However, it’s not necessarily the final sign of death for the stores. As some Stripes locations approximately 200 were sold to a third party who has not indicated any plans to change to 7-Eleven as of yet. 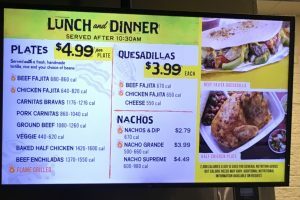 So for outside of the Southwest Laredo Taco Company locations, this is probably it for now. I commented about this on Retail Watchers, that I find it odd that 7-Eleven seems to be committed to the brand in some form but their takeover of White Hen Pantry in Chicagoland eliminated the delis and produce options (a carryover from Jewel, which used to own them many years ago). 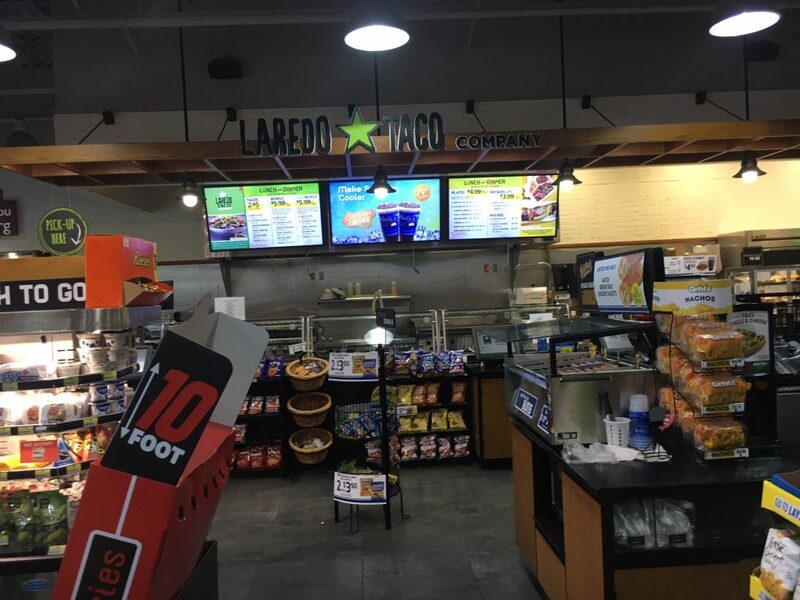 7-Eleven does seem to have taquerias, the “TETCO” in College Station (7-Eleven in all but name) has one that was bought from Speedy Stop, but it lacks the options that a typical LTC does. The West Texas Stripes are licensed and owned by a different company, and I believe that they have a lot of older stores mixed in, including the Stripes stores in Oklahoma that were old Circle K stores (7-Eleven doesn’t operate in OK at all due to what can be seen as an overly generous franchise company). I believe that in the next few years, Stripes will start selling or closing stores that 7-Eleven wouldn’t convert, either in overlap areas or rural areas (Stripes picked up a lot of rural stores from Sac-N-Pac). What would be interesting to watch is what happens to the Quick Stuff stores, the combo Jack in the Box/gas stations that Stripes has been operating for several years. That has me wondering if Cal’s got their hands on Quick Stuff. I also can’t find who purchased Ice Box. 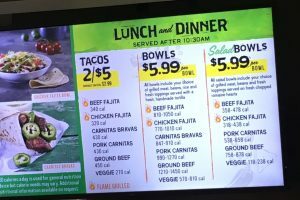 Looking into the Quick Stuff deal, when Jack in the Box sold the chain, they broke it up so only the stores were sold, not the fast food locations, which are still company owned. 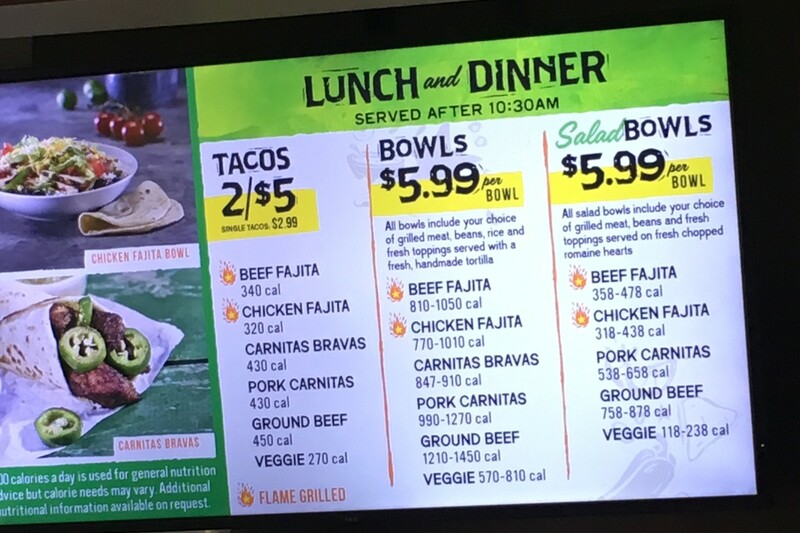 I’m thinking that if Cal’s didn’t get their hands on Quick Stuff, 7-Eleven may just spin it off, rather than have to run in conjunction with a JITB. I saw a map of the Cal’s locations, they were all in west Texas (none east of I-35) and most of which (in Texas) were Town & Country Food Stores. 7-Eleven typically is not known for running dual fast food stores, though it is not unheard of (especially in the Nevada markets), so maybe the Stripes stores will end up being different. As for Ice Box, I think it may be in the hands of whoever owns Jack’s Grocery…there was Jack’s Taqueria at the Westheimer location of Ice Box, which has the same logo as the rebuilt Chevron at Milwee and 290. As for Quick Stuff, I think Jack in the Box still owns the name, so they may be a contractual obligation from Stripes to keep it running under that name, but I can still imagine 7-Eleven running it under a different name as they did TETCO (unlikely).